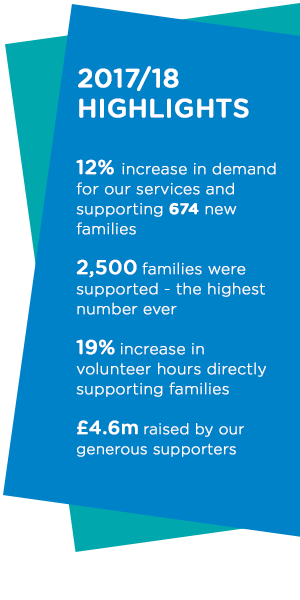 This impact report shows the difference that our supporters, volunteers and staff make to thousands of families’ lives. When serious illness affects a child, family life is turned upside down and time becomes more precious than ever. 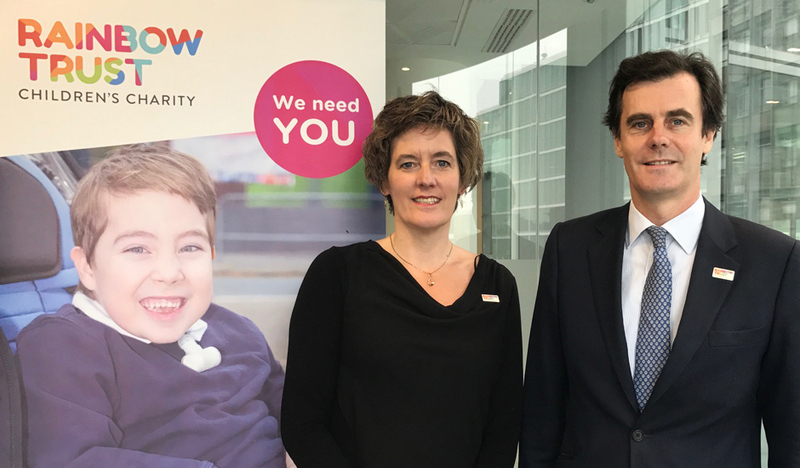 Together we help families with a seriously ill child make the most of time in all kinds of ways, wherever and whenever they need it. Last year we were proud to support more families than ever before, meeting an increased demand whilst maintaining a high-quality service. Our annual service audit showed that 82% of families rated our overall service as excellent at 9 or 10 out of 10. 98% of children said they liked Rainbow Trust visiting and 100% felt that Rainbow Trust kept them safe. Feedback such as this confirms that parents value the quality of the support they receive from us and that for children, a Rainbow Trust Family Support Worker is a trusted person to have fun with. This can make a huge difference to a family’s quality of life, helping them to cope during the most difficult times they may face. We are very excited to be able to respond to the increasing demand, and are looking at ways to continue to develop and expand our services.